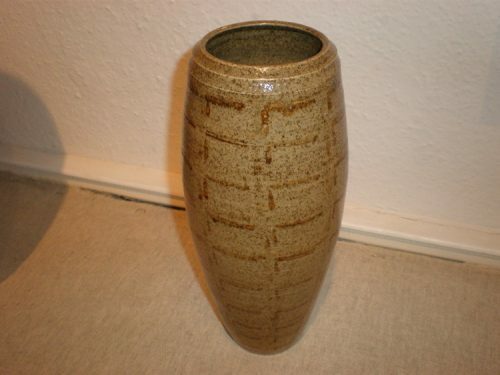 Rare early Coldrum vase by Reginald Wells – considered the father of British studio potters, coming a generation before Bernard Leach. 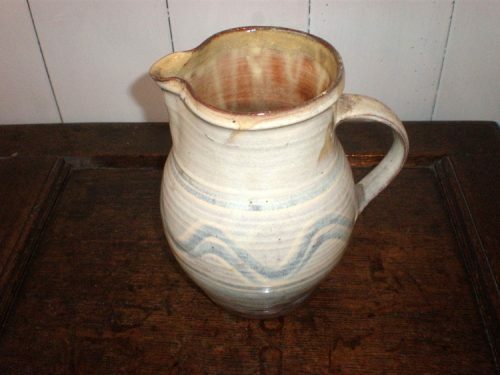 There were potteries at Wrotham in Kent, as early as the seventeenth century. 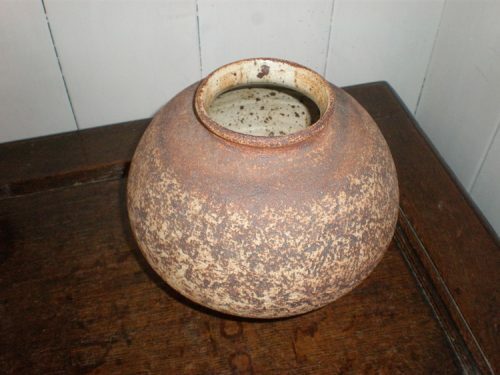 In 1900, Reginald Wells, at the age of twenty-three set up his pottery at nearby Coldrum. 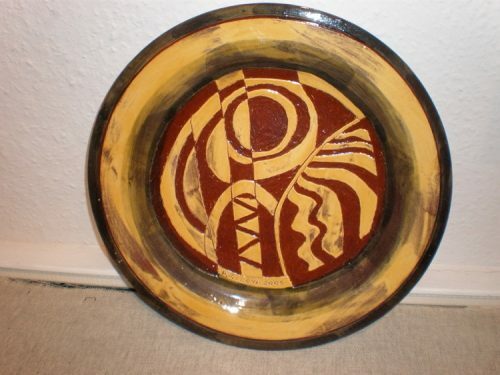 He had previously studied as a sculptor at the Royal College of Art, and as a potter at Camberwell School of Art in London. 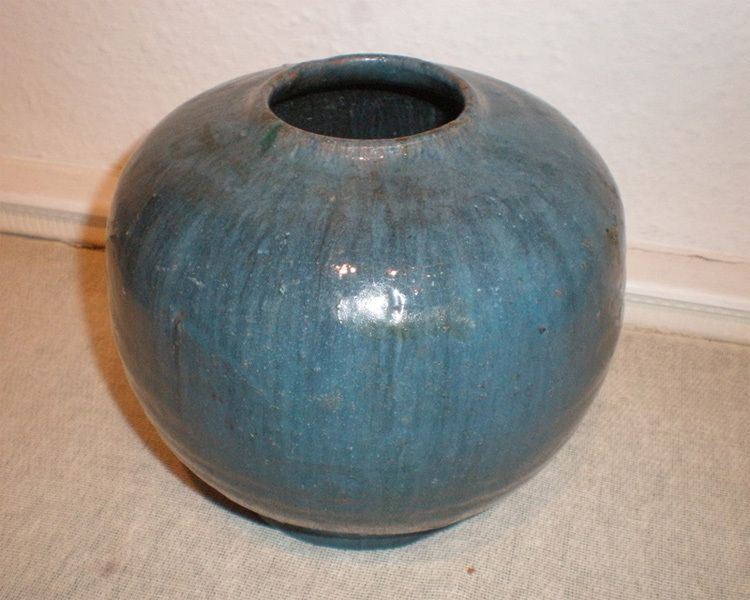 After nine years he moved Coldrum Pottery to Chelsea, and continued there until the outbreak of the First World War. Wells, who had an interest in flying from an early age, devoted the war years to his Wells Aviation Company, working from the same premises. After the war he moved to the Kings Road, renaming the company the London Pottery Company, and changing the mark from COLDRUM to SOON. In 1925 he moved to Storrington in Sussex, retaining the SOON ware brand, and continued there until his death in 1951.